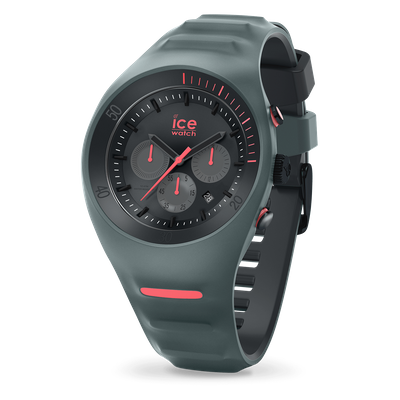 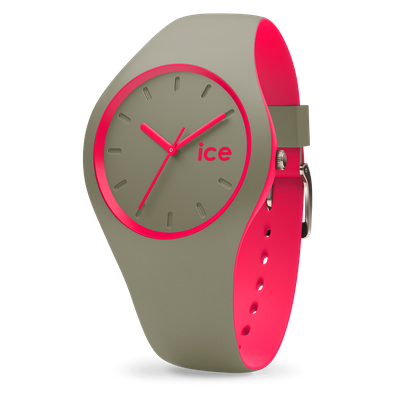 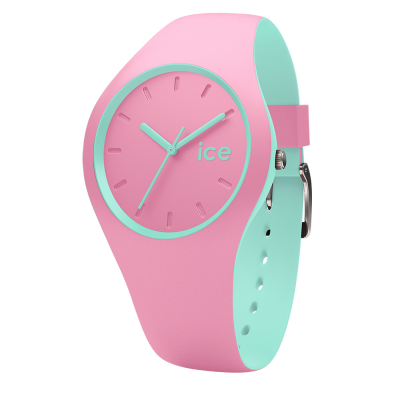 It is an extra flat silicone watch. 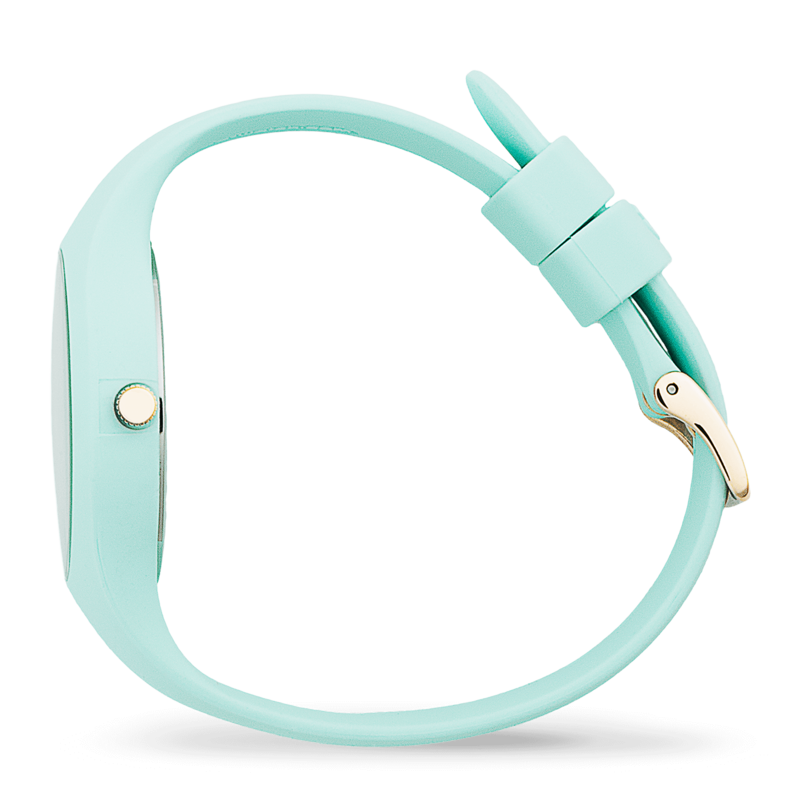 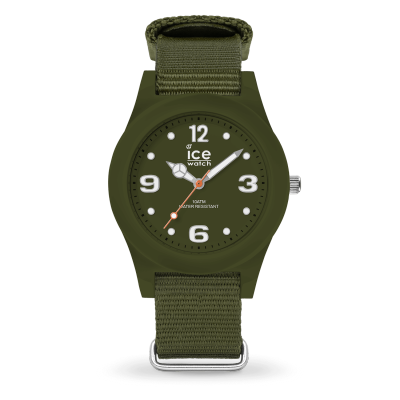 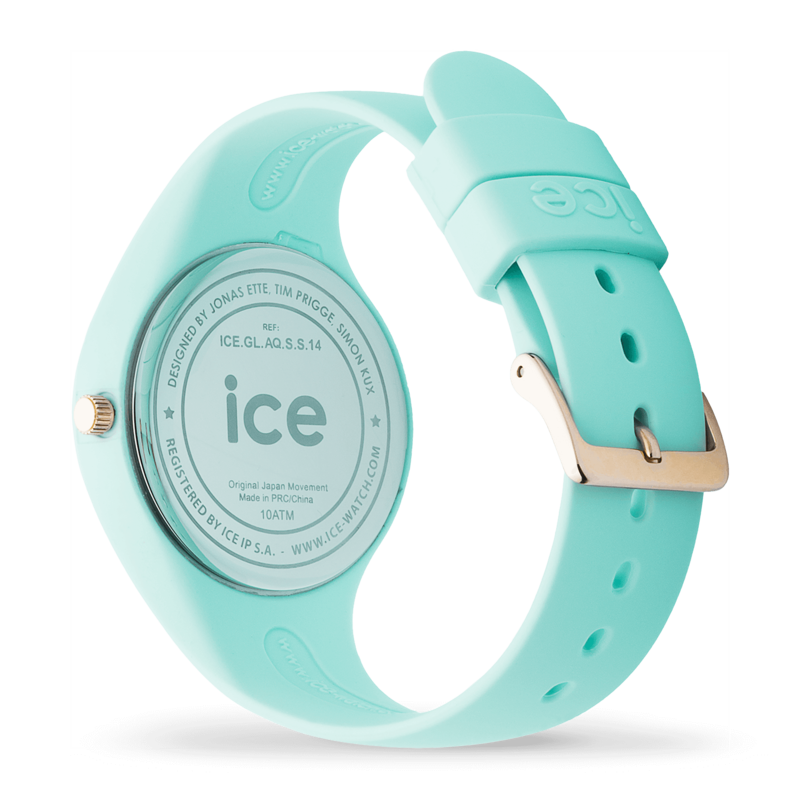 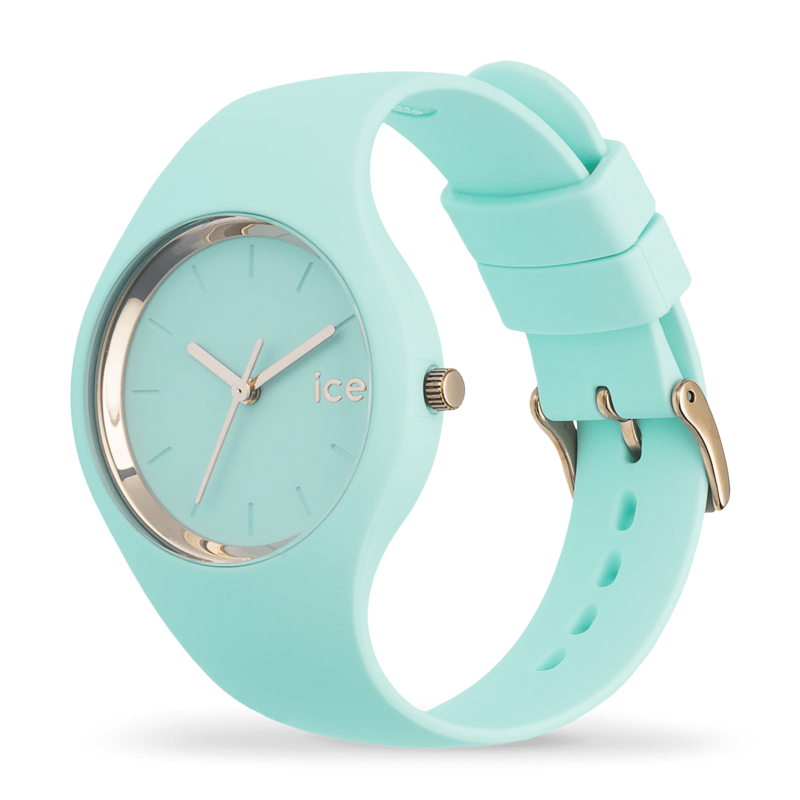 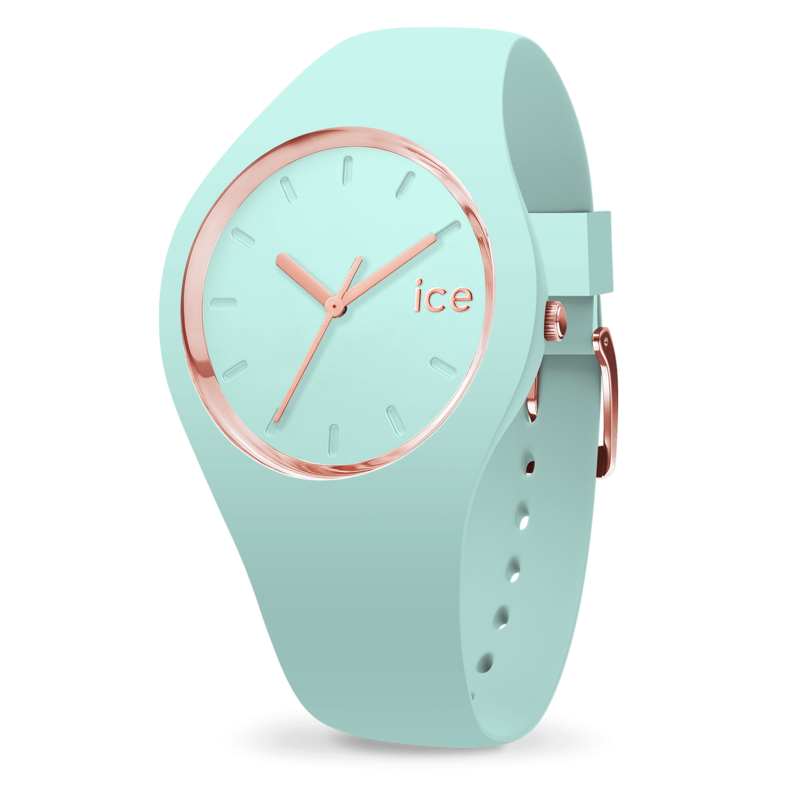 Its dial and its strap are pastel green. 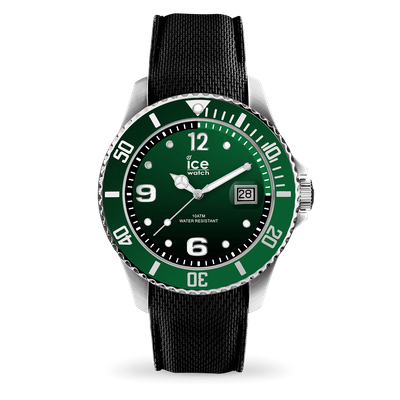 Its hands and the edge of the dial are gold.